Thanksgiving is all about giving thanks. Sometimes we tend to forget the true meaning of Thanksgiving…. being thankful for what you have. 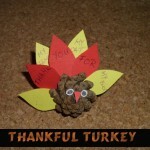 This craft is a great way to teach your kids about the true meaning of thanksgiving. 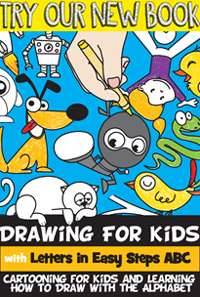 And, your kids will have so much fun doing this. 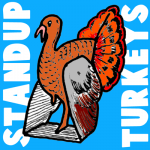 This turkey’s feathers will tell everyone what you are thankful for. Plus, it makes for a great Thanksgiving decoration. 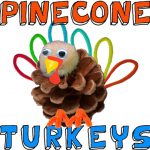 Made from a pine cone and some construction paper this craft is sure to be a lot of fun. So, let’s get started. 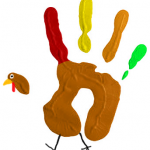 One of the easiest and most effective ways to show children how to draw a Turkey is to have them trace their hand. That method was used when I was a child and they still do it now. 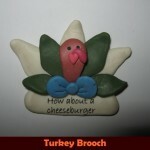 Today I will show you 4 methods to make a Turkey…. all using the children’s handprint. 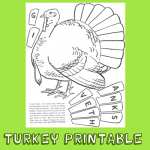 Try all 4 methods and see which handprint turkey you like best. I can’t help myself…. I love them all.